Not just a Boxy Tote Bag but a Tool bag. It has lots of pockets inside and out for your quilting tools, make up or travel items. 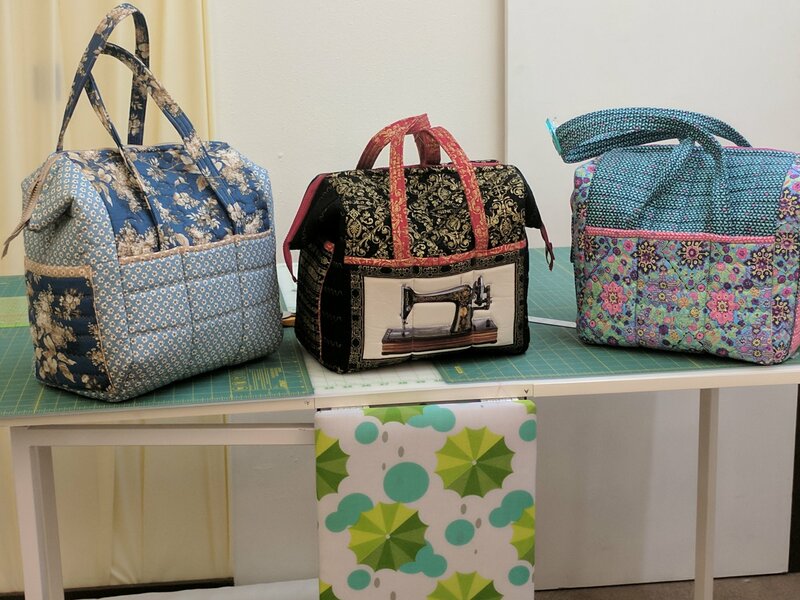 This is not a beginners class as bag construction uses quilting, sewing and some zipper installation. Cutting and fussing requirements prior to first class. Large bag holds a featherweight machine perfectly! Once registered a class supply list will be given.